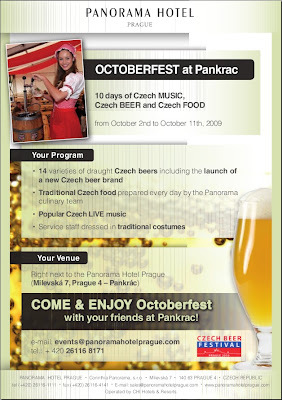 I heard about this just by chance (thanks Kristian), starting on Friday, 2/10 through Sunday 11/10 those of you who happen to be in Prague will be able to attend a reduced version of Český Pivní Festival, called "Octoberfest at Pankrác or Podzimní Ochutnávka (Autumn tasting), depending on whom you ask. The event will take place at Panorama Hotel Prague, right by the Pankrác Metro station (Line C). The system will be the same as at the big Spring romp: free entrance, payment in "tolars", etc. The beer list, which you can see here, has been reduced to 14 samples, all from K-Brewing Trade breweries. 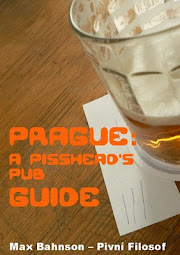 It's just a good alternative for those who will fancy doing something different while visiting Prague, and also a good opportunity to taste some beers that you are very unlikely to come accross in the centre. I went to the festival tonight, It was nice, and I tried some Czech beers I have never had before. The waitresses were very good at their job, and the Tolar system was Ok. You can pay with money if you want to, but I liked the Tolars. The thing I did not like was the live band. They played OK, but the sound technician preferred really loud music. It was more or less impossible to have a conversation in the tent, and that was a shame. what beer are you drinking in the picture? (the golden one)this is really importent! ok. and where do I find it? any website? 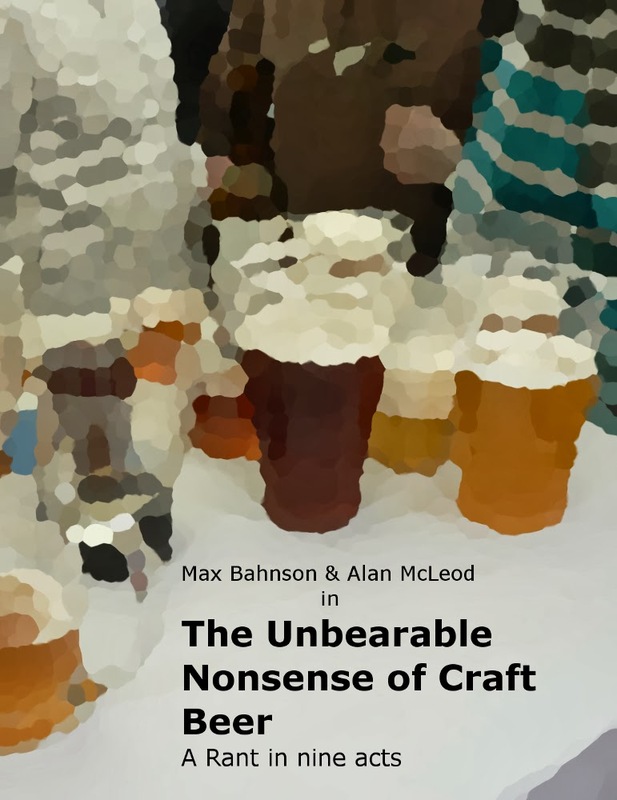 or other information about this beer? What beer do you mean? This post was about a festival, that's already finished.